Information about computer hard disk and interesting facts – Find out who invented first hard disk. A hard disk (also known as HD or HDD) drive is common data storage for computers. Hard disks use magnets to store information. So who invented hard disk? The hard disk was invented on September 13, 1956 by IBM team led by Rey Johnson (considered as “father” of the disk drive). Earlier hard disk drives were large and cumbersome devices. A 5 or 20 megabyte hard disk capacity was considered large in early 70 and 80’s. 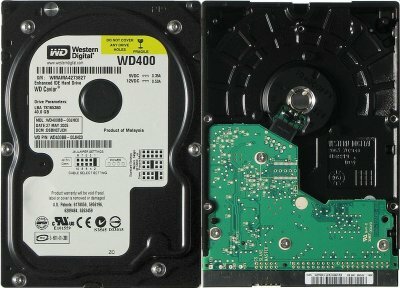 There are several different types of interface for hard drives. The most common is the IDE or SATA interface, which is found on most home desktop PC’s. For high-end applications and business the SCSI or SAS interface is very popular. Again, there are several types of SCSI interface. In order to safeguard against data loss or corruption and to improve performance you need to use RAID (there are many different configurations to choose from). 1980 – The world’s first gigabyte-capacity disk drive, the IBM 3380, was the size of a refrigerator, weighed 550 pounds (250 kg), and had a price tag of US $40,000. 1991 – 100 (2.5-inch) megabyte hard drive introduced.